Hydronic Components, Inc. (HCi) - BBC Pump and Equipment Company, Inc.
Hydronic Components Inc (HCi), part of the Jomar Group, has led the balancing and coil piping package industry for over 20 years. They have done this by providing customized balancing solutions based on the provided specifications to meet customers' needs. 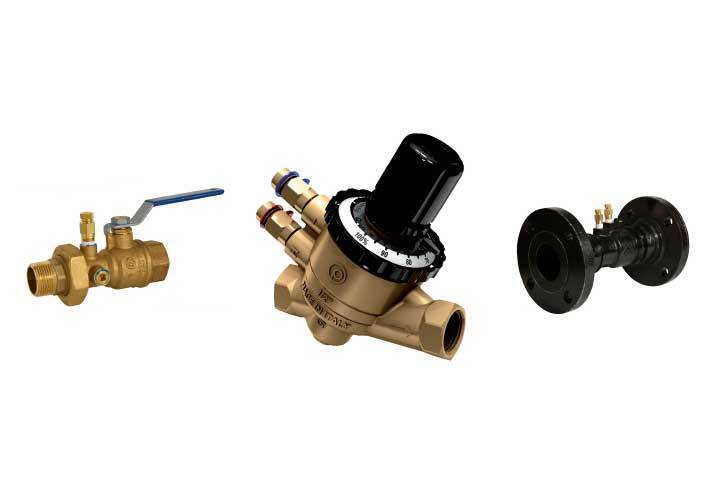 The Terminator System® coil piping packages revolutionized hydronic installations by using quality engineered combination valves to minimize the time and space required to install hydronic terminal units. HCi offer manual and automatic balancing solutions, Pressure Independent Control Valves (PICV), and their patented Filter Ball design incorporates an intergraded back flush feature. HCi components are 100% leak tested and bagged & tagged into a single package for easy installation. HCi take great pride in maintaining the highest quality products, shortest lead times, and competitive pricing in the industry. All HCi products are backed by a 5-year warranty.